We would love it if you could join us this year! 4775 Cambridge St. Boulder CO 80301. 1) Confirmation that you will be able to be the recruiter for your faith community for 2015. Please include any recent changes to your contact information. 2) Or, if you are not returning as recruiter but have found someone else to serve, please send me that person’s name and contact information. 3) If you know of any local businesses that might be interested in sponsoring the CROP Walk please let me know and I would be happy to forward them more information. 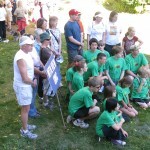 THANK YOU for your past and current involvement in the CROP Hunger Walk. We look forward to working with you in the weeks and months ahead! Blast from the past…do you see you? 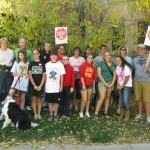 Enjoy these photos from past year’s Boulder #CROPhungerwalks ! Posted in Blog	| Comments Off on Blast from the past…do you see you? Curious about last CROP past success? 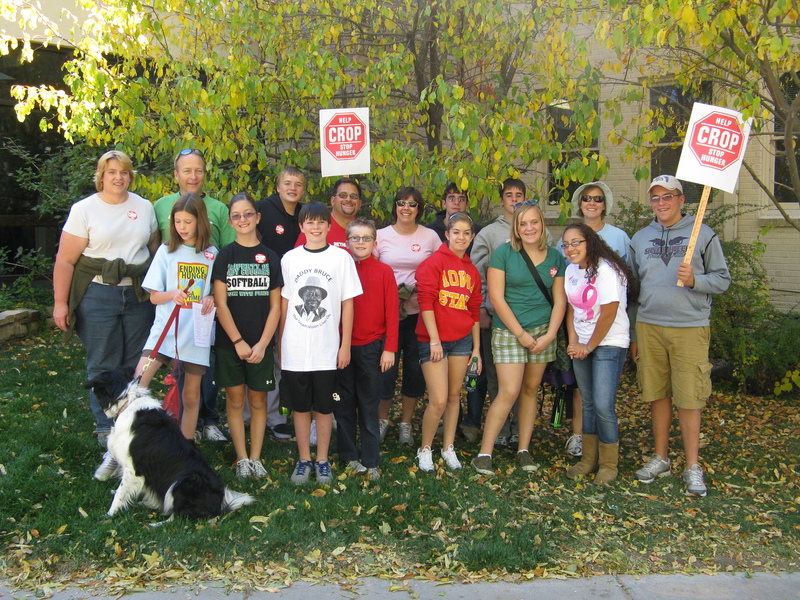 Thanks to your efforts, the 2013 Boulder CROP Hunger walk was very successful! Help us meet our goal this year (2014)- to raise $40,000! Posted in Blog	| Comments Off on Curious about last CROP past success? LONGMONT — In its first year, the Boulder County CROP Hunger Walk raised about $5,628 for agencies fighting to alleviate hunger both domestically and internationally. Virginia McConnell was on staff with the Presbyterian Hunger Program in Boulder when she watched a film about Communities Responding to Overcome Poverty walks and decided to bring the idea to Boulder. Church World Service, an ecumenical ministry of Christian organizations that work to end hunger and poverty both in the U.S. and abroad, began CROP walks 64 years ago. 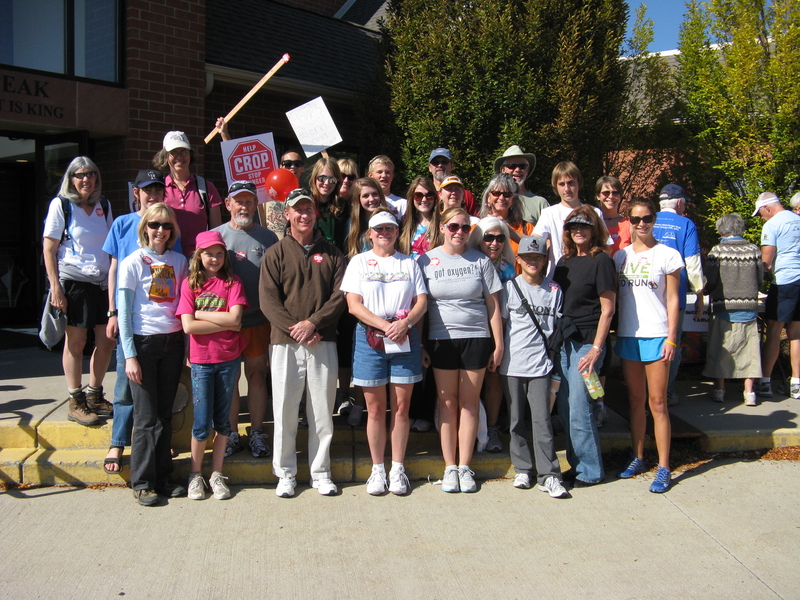 Today, about 2,000 communities host walks. Boulder County’s is one of 25 in the state listed on the organization’s website. McConnell, who has missed only one CROP walk since 1986, said she is proud of how the event has grown. “I still believe in it. I really do. We just have so much and so many people have so little,” she said. 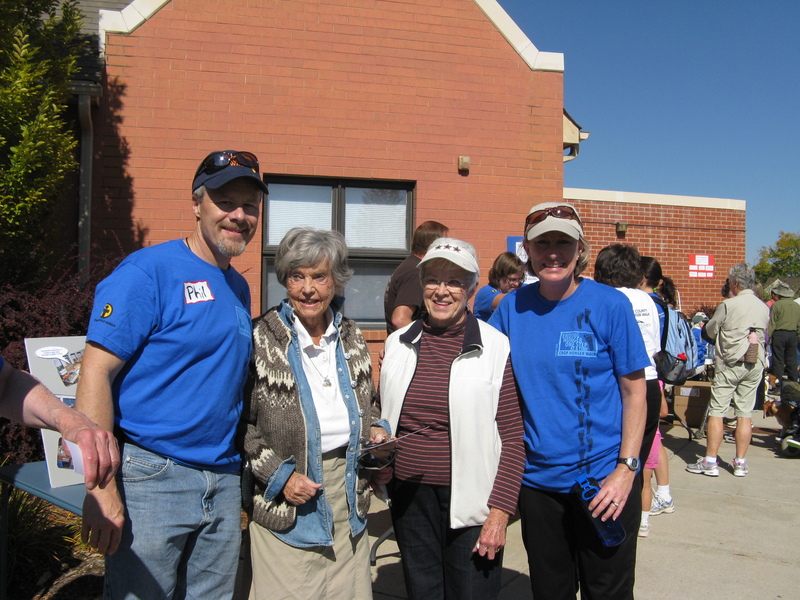 Phil Goerner, Virginia McConnell, Sibyl Goerner and Krista Brakhage are ready to walk in the 2012 Longmont walk. Help the hungry? Here is a great way how! As this column is published, we are just about 20 days away from a terrific opportunity for you to help those suffering from hunger and poverty right here in Boulder County Colorado and around the world. Plan on joining us now for the October 19th Boulder CROP Hunger Walk to be held 2pm at United Church of Christ in Longmont. The plan is simple- you tell the story of how you would like to help folks who are hungry and plan to pariticipate in a 10K walk to raise awareness and funds for the hungry in Boulder County and around the world. Funds raised from this walk will benefit Community Food Share who can provide 3 meals for hungry folks for every $1 raised. Funds raised also benefit Church World Service who works on world wide hunger and malnutrition issues, disaster relief, children hunger and poverty, water issues and more. Finally funds raised will help Bread for the World expand our collective voices as people of faith in urging our national leaders to pass legislation that helps alleviate hunger nationally and abroad. If you care about the issues of hunger and poverty, the funds raised at this CROP walk is one of the wisest investments you can make. Each dollar that is invested will stretch to the the furthest to provide resources and hope to those suffering from hunger. Even if you can not walk with us, consider supporting us by donating to the walk online. 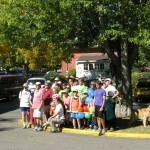 You can sponsor a walker, or simply donate to the walk. With your help, we really believe we can reach our goal of $40,000 for 2014! Posted in Blog	| Comments Off on Help the hungry? Here is a great way how! Just over a month from now…. Preparations are being made by many folks for a successful Boulder County CROP walk Sunday October 19th in Longmont Colorado. Last year over over 18 different organizations, churches and synagogues encouraged 275 walkers to help raise funds for the hungry in Boulder County and all over the world. Over $38,400 was raised to help the hungry. Fund raised go to Church World Service- to help both internationally and domestically here in the United States. 24% of the funds raised go to Community Food Share whose mission is to ensure that people in Boulder & Broomfield Counties are food secure. 1% of the funds raised goes to Bread for the World, a collective Christian voice urging our nation’s decision makers to end hunger at home and abroad. By changing policies, programs and conditions that allow hunger and poverty to persist, Bread for the World provides help and opportunity far beyond the communities where we live. These organizations really make a difference for those suffering from Hunger and Poverty. Come join us for this year’s walk! Posted in Blog	| Comments Off on Just over a month from now…. 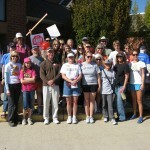 The Boulder County CROP Hunger walk is scheduled for Sunday October 20! We’re happy that so many of you will be joining us on our adventure! Many of you are doing online fundraising too. Click here for an update for this year’s funding. It is impressive! Please remember registration opens a bit after 1pm and we’ll gather at 2pm with a few words to start the walk. There are three distances you can walk this year 2 mi, 4 mi and 6 mi (approx) Here is a link to the maps. 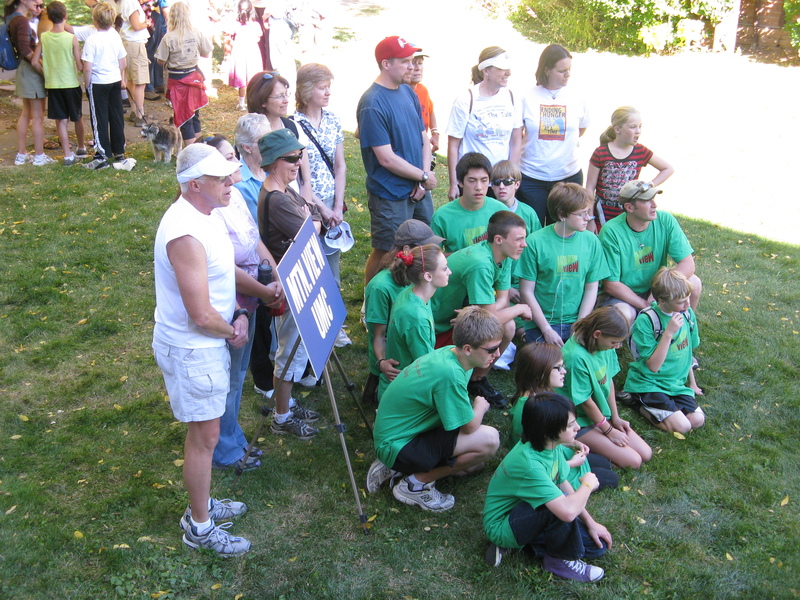 It is time to start thinking about your role in the October 20th 2013 Boulder County Hunger Walk. Many of you already have great ideas about how to raise funds. You can do this face to face and some walkers have been very effective at raising funds online! This is easy to do from the Church World Service web site which allows you to set up a fund raising opportunity for yourself or your group. Make sure to set goals for your group and each walker. 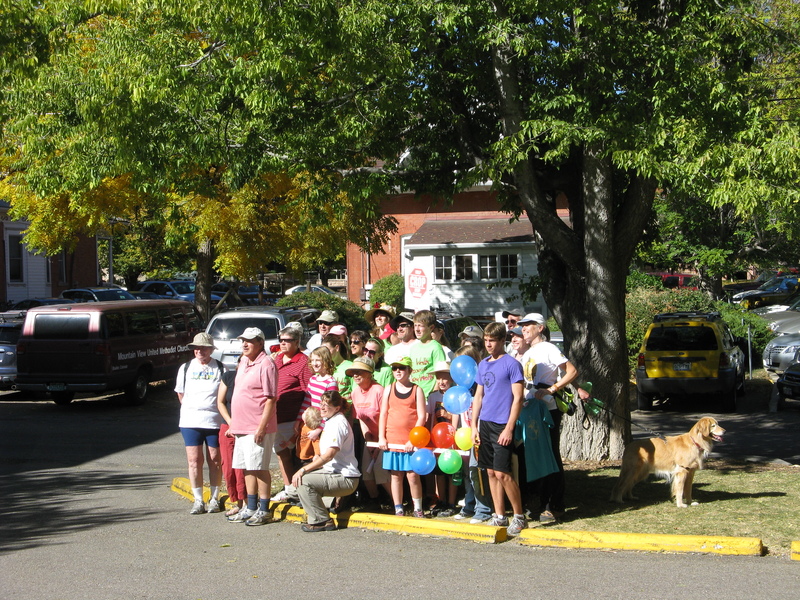 Last year individual walkers raised over $150 each with some groups raising almost $5,700 total! We appreciate anything you can do. If you need more ideas, here is past organizer (extraordinaire) Suzanne Dysard explaining what she has done! Take a look! Posted in Blog	| Comments Off on Online fund raising…consider this! Walking the walk, The Whole Year Long! We know we have faithful folks that have walked with us many many years. You same folks have really already lived this idea, living lives that help others. Several of you volunteer with your local food bank or pantry, participate in food drives, educational opportunities and other opportunities to serve the needy. Just like those that receive help from our efforts, there is a need for an extended effort in addition to our annual October walk. We would like to challenge ourselves to continue to learn about the needs of those suffering while finding opportunities serve others. Think about how you might use the walk as an emphasis or starting point for what you might do that would have an impact throughout the whole year. As much as possible encourage yourself and others to do the same! Posted in Blog	| Comments Off on Walking the walk, The Whole Year Long! Recruiters to collect all walker envelopes. We know not only to supper heros have special powers, but your CROP walk recruiters can also do just about anything too! They will help you as walkers to find donations, recruit other walkers and provide information to you like walk registration times (1:15-2pm October 14th), start time (2pm) and route directions. For example, they know that the walk heads north past MacIntosh lake, then south through west Longmont and the route is just under 10 KM. If you wish to participate but don’t feel like you can do the full distance, you can still participate by doing the short walk. For more information, please contact your recruiter! Posted in Blog	| Comments Off on Recruiters to collect all walker envelopes.